I live on property not only bordered by state forest but with a pond in the far back yard. Last spring I got to really hear the mating sounds of frogs, a specific chorus of sounds that said, ‘Hey, look at me. I’m a worthy mate’. Frogs mating sound slowly builds, climaxes and then recedes, a beautiful symphony for the mid-spring concert already going on. I loved listening, learning about them first hand and then watching hundreds of eggs pool around the edges and finally hatch into tadpoles. What’s the sound all about? 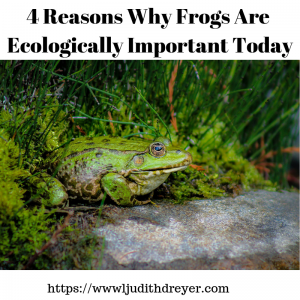 Why are frogs so important? They are a mid-food chain species. I didn’t know this but they are both predator and prey. They eat blooms and algae and they are food for a variety of critters including birds, fish, snakes and more. They are an indicator species. They thrive in freshwater habitats and need suitable land to survive. They are also thin-skinned, highly permeable so they can absorb chemicals and other toxins such as bacteria. Don’t like mosquitoes? Well, who does? They help control insect populations not only grabbing them for chow, but they also eat the larvae which can transmit diseases. Some poisonous frog toxins are currently researched for their potential for creating other drugs. 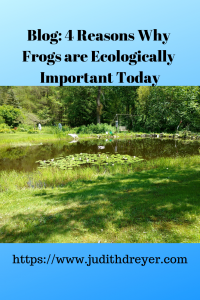 My podcast guest this week, Katherine Hauswirth, a writer, and naturalist shares that she got involved in a Frog watch program here in CT. She joined a Frog Watch team, learned 11 different frog sounds in order to monitor frog populations and health in her ‘neck of the woods’. If you live in the NE here’s a really cool site that gives you frog sounds. Also, FrogWatch USA has more information based on your particular state. I highly recommend you check them out. Frog species are hurting. They need clean fresh water and uncontaminated land. How can we help? 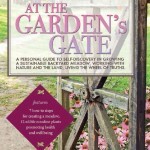 Be mindful of them in your landscapes. Many gardeners I know leave dishes of water for them in the garden. I happen to be fortunate in that we have a wildlife pond in our backyard, teeming with various species. Our frogs and toads sing and create a chorus of sound from spring through fall, especially enchanting at dusk. When hiking, leave them alone in their habitats. If you have children who like to pick them up, remind them that frogs and toads are thin skinned and gently place them back down to the ground. What can we do to help? Pick your favorite species. If frogs happen to be one of them follow the links above and help in a local frog watch. If another critter has your heart and your eye look into the Defenders of Wildlife. Adopt an Animal. A symbolic adoption helps several animals in the wild. Take Action. Visit our Wildlife Action Center to send a message to government leaders. Become a Defender of Wildlife.